Stampin' Up! Christmas projects, including this Christmas Clothespin Wreath, are some of the most popular pins from Sharing Creativity and Company that you can find on Pinterest. 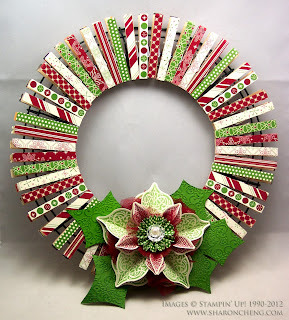 Clothespins wreath are a fun way to celebrate different holidays. While I have clothespin wreaths for many different holidays, this Christmas one gets pinned the most. 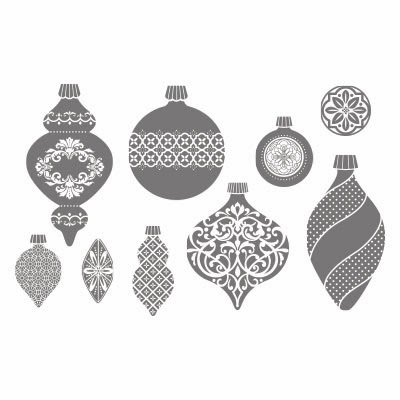 The stamp set I used to make the pointsettia with was Ornament Keepsakes (128051 $19.46) which is on sale through October 28th for 25% off. 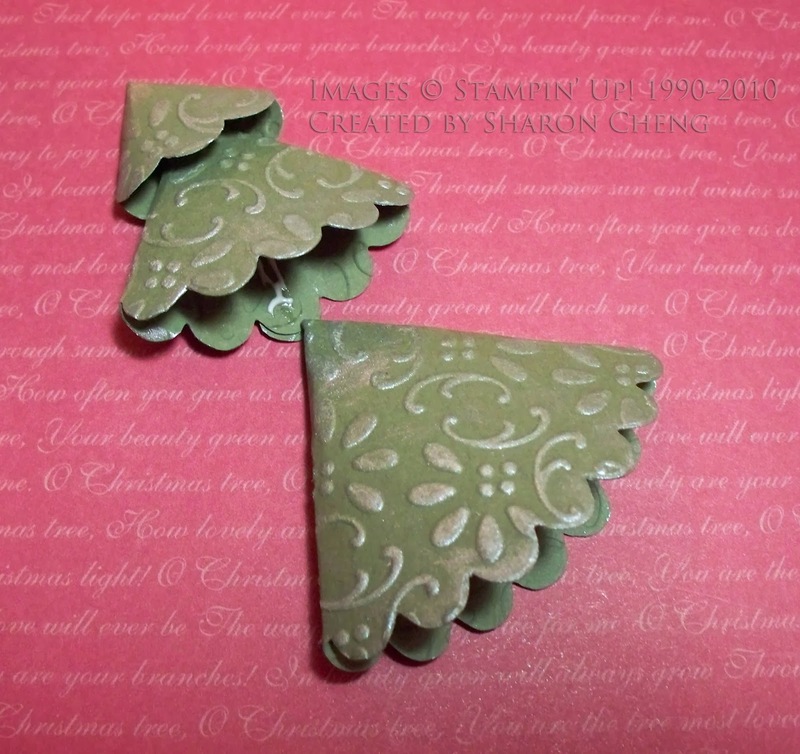 Here are my other popular Christmas-related pins. 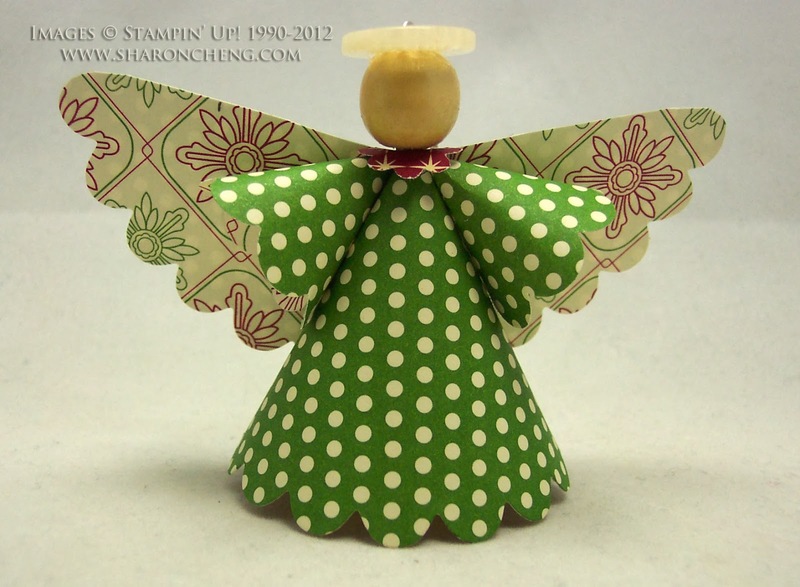 I made this angel as a gift for my downline last Christmas. This Skinny Santa was so popular, my customers asked me to post this tutorial. 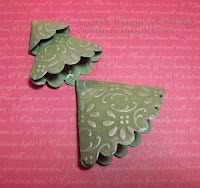 This tree made from scallop circles is my most pinned Christmas project on Pinterest. 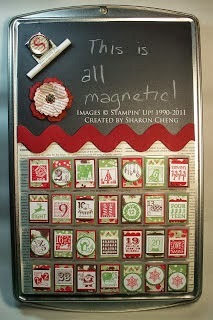 This advent calendar was made using a cookie sheet and pillboxes. 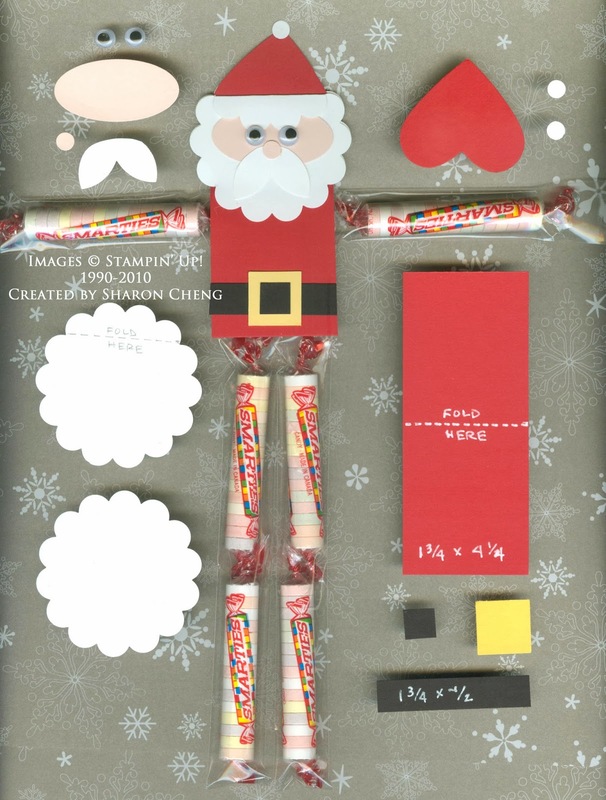 Pinterest is a wonderful way to find inspiration for your holidays! Follow all of my Pinterest boards.